This guy is bullish on Bitcoin. Steve Bannon is apparently hustling cryptocurrency deals. Basically the populist movement differs in each country, as it should. According to Steve, central banks are in the business of debasing currencies as the business and political classes are debasing citizenship, making us slaves. He compared the new serfdom to the pre–French Revolution situation, with Google, Amazon, and Facebook living it up in Versailles, urging us to eat cake. The Time’s Up movement he likened to the French Revolution. What will save us from the ogres, always according to Steve, is the new currency. This I found very interesting. I understand currencies as well as I comprehend modern technology—i.e., zero. I nevertheless am still capable of not thinking of women long enough to concentrate, and here are the results: Entrepreneurs are now selling their own virtual currencies to raise money for software that they say they are building. In return for real money, investors receive digital tokens, similar to Bitcoin. These coin offerings rose out of nowhere last year to become a popular way for start-ups to raise tens of millions of dollars. That leaves bankers out of the loop, and entrepreneurs free to practice free enterprise. 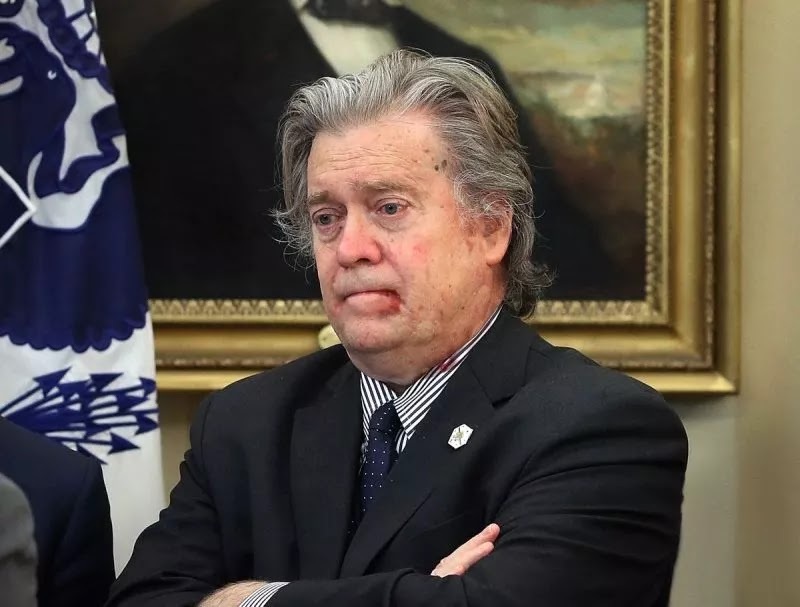 Steve Bannon is all for it, and I am also behind it, however little I understand, and it is very, very little. But it makes sense—the freeing of the serfs, that is—so I’m all for it. I will be meeting with Steve next week in New York. We might work something out to save the world from the clutches of the greedy ones. I’ll keep you posted. Yeah well, Bannon may talk a good game about Bitcoin, but as I warned you last week Taki, he is after your cash. Maybe he is talking Bitcoin to get your cash via an ICO (initial coin offering). Be careful. Here's what Bannon didn't tell you. There are not eight cryptocurrencies, there are hundreds. Last I looked, there were around eight hundred. Even if we buy the delusion that one or two might make it that means for sure there will be some 798 cryptocurrency failures. It seems Bannon also didn't tell you that the Securities and Exchange Commission is aggressively cracking down on ICOs. And Taki, think about this: Do you really think the banksters and the rest of the establishment, who make the laws and control the guns that count, are really going to walk away from the game that generates vast riches for them just because of Bitcoin and because Bannon says so? Bannon hustling an ICO deal reminds me of the time when the Saudi billionaire arm's dealer Adnan Kashoggi crashed and burned and started hustling Vancouver penny stocks. I knew his ex- sister-in-law, boy she could tell some stories. I wonder who knows the stories about Bannon. wow, he looks extremely strung out. Meth? Coke? Hookers? It seems as though he struggles with a basic appearance. As unflattering as that photo seems, it appears photoshopped. Look at the blemish on his collar. Interestingly, Trump just signed a retro-active(!) Executive Order banning US citizens from purchasing the Petro. There are so many areas of libertarian outreach incompetence. Like not getting people to understand that inflation is a purposeful government program (after 45 years of alleged outreach). Washington tax authorities are treating crypto-currencies as properties and not money and this means US investors are starting to receive some unexpected and large tax demands"
That's the real reason other forms of money cannot compete in the USA with US funny money. There is a complex tax basis calculation, a tax reporting obligation and tax payment obligation with every transaction in which the alternative money is used.